know-how with extensive knowledge of our production sites. Hirata’s customer base spreads out to over 40 countries in the world including Japan. 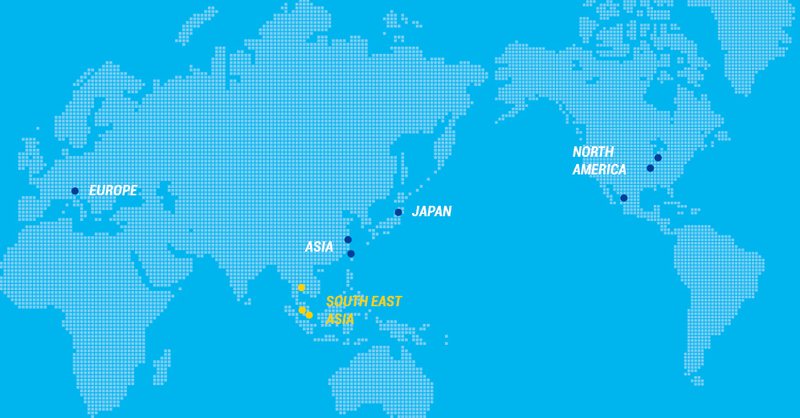 We deploy 10 subsidiaries in North America, Europe, South East Asia, China, and Taiwan, where we can provide quick and flexible responses to inquiries for new businesses as well as operation, support, maintenance, and updates. Anywhere in the world, we provide production systems complying with customers’ production philosophies and taking into account practical issues such as local labor practices and safety standards. 47295 Cartier Dr, Wixom, MI, 48393 U.S.A.